Our curriculum compliments the innate desire and abilities of your companion. The methods are both Art and Science with an honesty for talent. 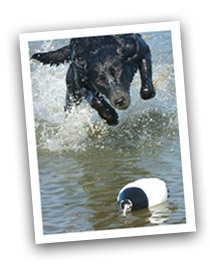 to contact us about discussing your retriever training needs. We are fortunate to be a part of your pup’s life through Head Start, Basic, Transition and Advanced Training. Whether your interest is on vocational studies (Obedience or Gun Dog Training) or professional degrees (AKC, HRC, NAHRA or SRS Titles), our program has been judged and approved by all. We have earned, through training and handling, a multitude of the highest honors in all three organizations—GRHRCH, GMHR and MH. We are also proud to be a 2xSRS Champion. Most recently, we set a new HRC Grand record for the most passes in a single Grand—7 for 7. 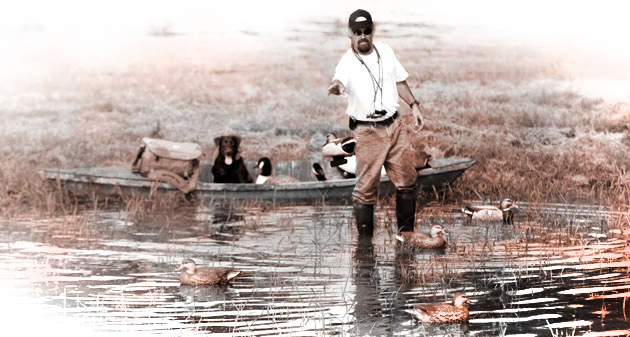 We have provided training and guidance in some of the most prestigious hunting environments including Prairie Wings Duck Club, Woods & Water Duck Club, and Goose Lake Duck Club. Our program’s success is dependent on proper nutrition. 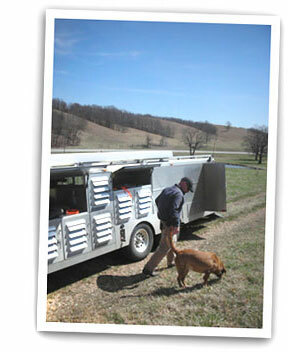 Performance dogs have special requirements for on-demand quick output, endurance and quick recovery. Therefore, our athletes require a diet high in protein and fat (30/20 matrix); as well as a precise blend of Omega Fatty Acids, Glucosamine and Chondrotin .